Top Rank’s stable of talented fighters just got better. 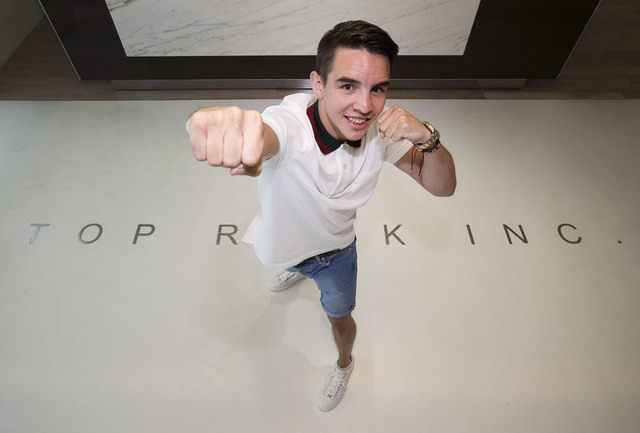 On Monday, the Las Vegas-based company signed Irish boxer Michael Conlan, who made waves at the Rio Olympics for raising his middle fingers at judges after a controversial loss. Conlan, who was in Las Vegas to sign his multi-year deal, has a decorated amateur career. The Belfast native captured a bronze at the London Olympics in 2012 and was the favorite to win gold this summer before losing in the quarterfinals. 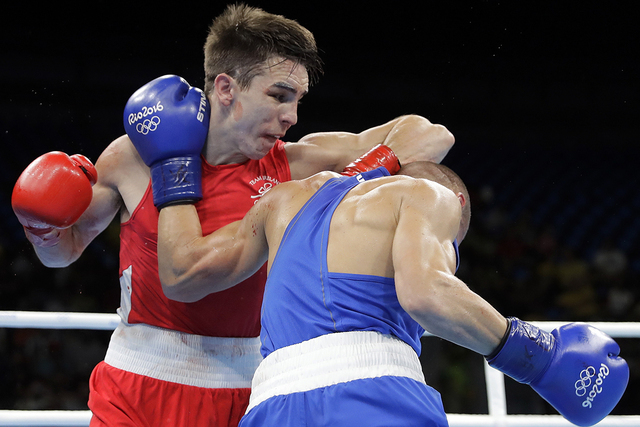 Conlan dominated the bout and made his voice heard by ripping the judges and AIBA. “It’s a dream come true,” said Conlan, who had five other offers from promotional companies. “I’m with the best here at Top Rank. If you look at Top Rank’s track record of turning Olympians into professional world champions, it was an easy decision. Conlan, 24, will compete in the junior featherweight division and plans on fighting mostly in the United States. Conlan hopes to make his debut on St. Patrick’s Day weekend in New York City, and possibly have his friend and UFC superstar Conor McGregor walk him to the ring. Conlan was arguably the most sought after boxer from this summer’s Olympics, next to American Shakur Stevenson. 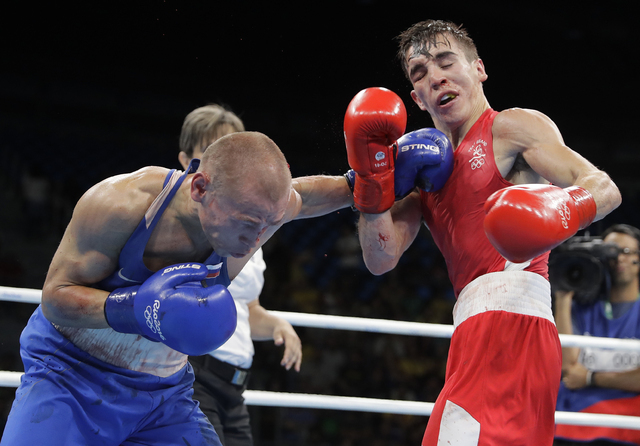 Conlan could have met Stevenson in a semifinals showdown if the judges didn’t give the win to Russia’s Vladimir Nikitin. In a sign that the judges probably crowned the wrong winner, Nikitin was unable to face Stevenson due to the hits he sustained from Conlan. The Irishman doesn’t regret his memorable Olympic outburst. Contact Gilbert Manzano at gmanzano@reviewjournal.com or 702-383-0492. Follow@gmanzano24 on Twitter.